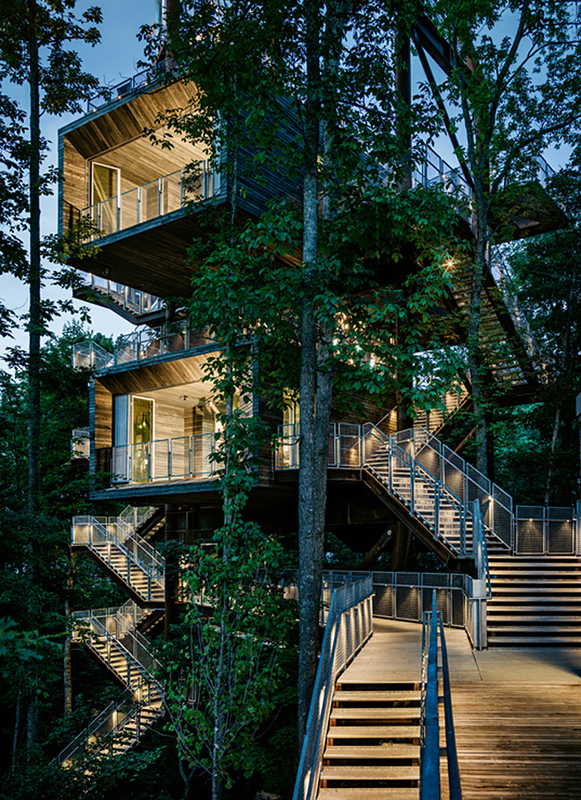 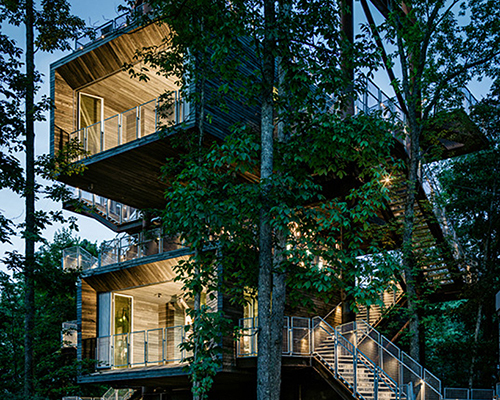 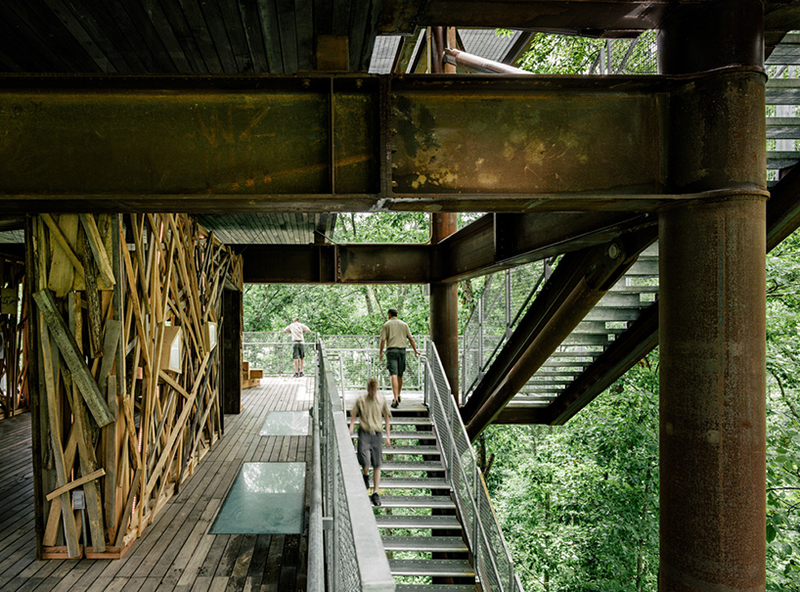 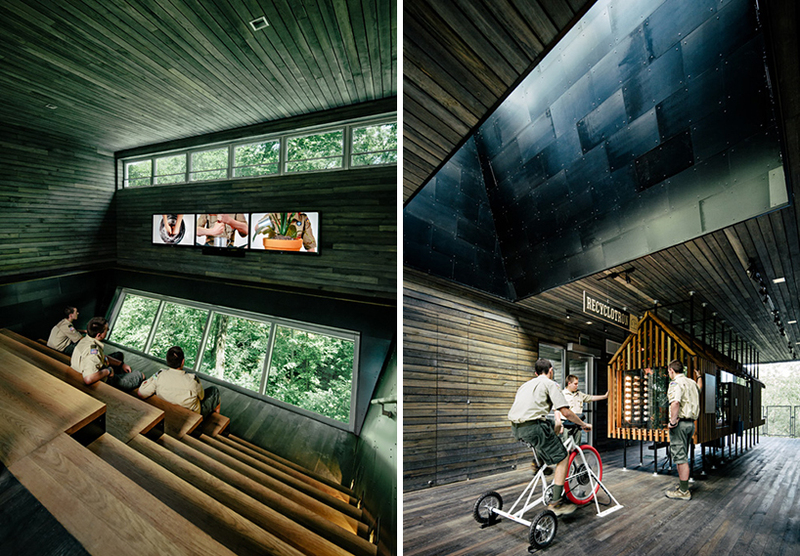 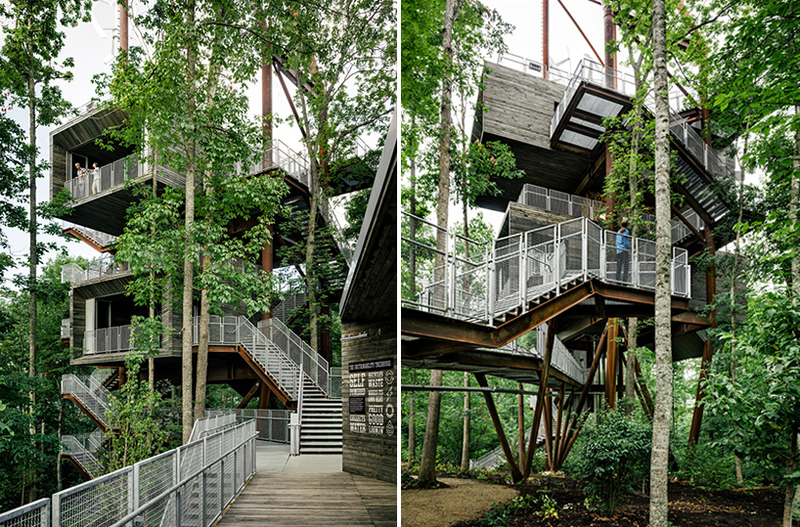 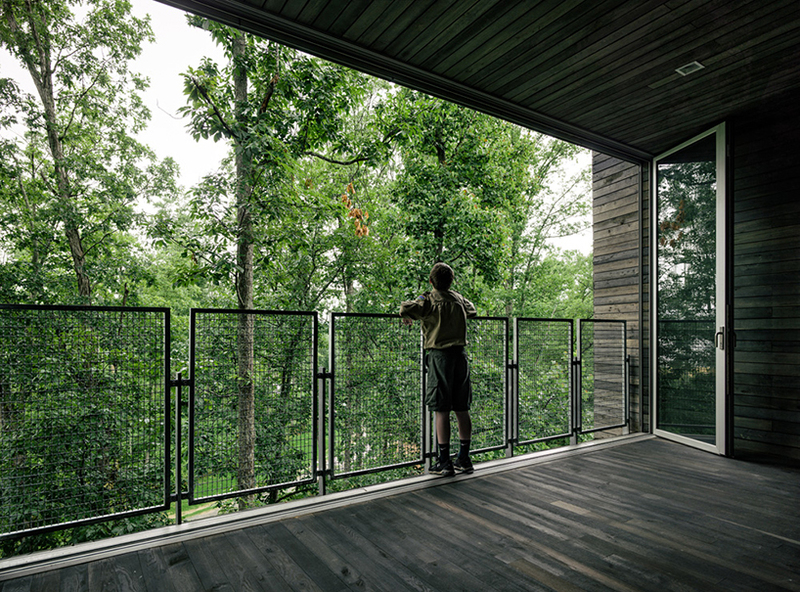 with a little bit of luck and perhaps a map, a trek through the dense forest of the summit bechtel reserve in west virginina may lead you to american practice mithun‘s ‘sustainability treehouse.’ tree trunks have been exchanged for steel columns and leafy canopies for energy-generating rooftops. 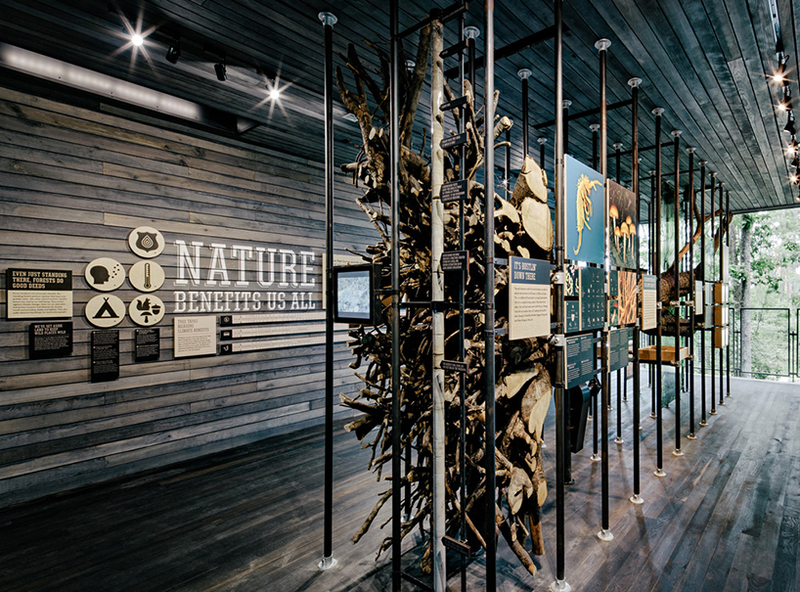 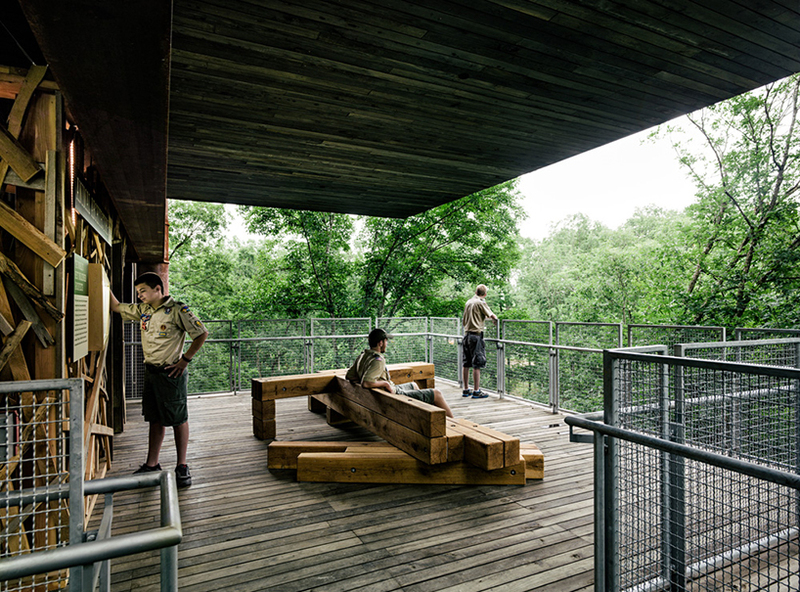 a multidisciplinary team worked hand in hand to create a state of the art facility commissioned by the boy scouts of america and the living building challenge which serves as ‘a unique icon of camp adventure, environmental stewardship and innovative building design.’ set within a corten steel frame, various cantilevering masses set at the various vertical zones of the ecosystem – ground, canopy, and sky- offer an interactive and visually stunning educational spaces for children to learn about the environment. 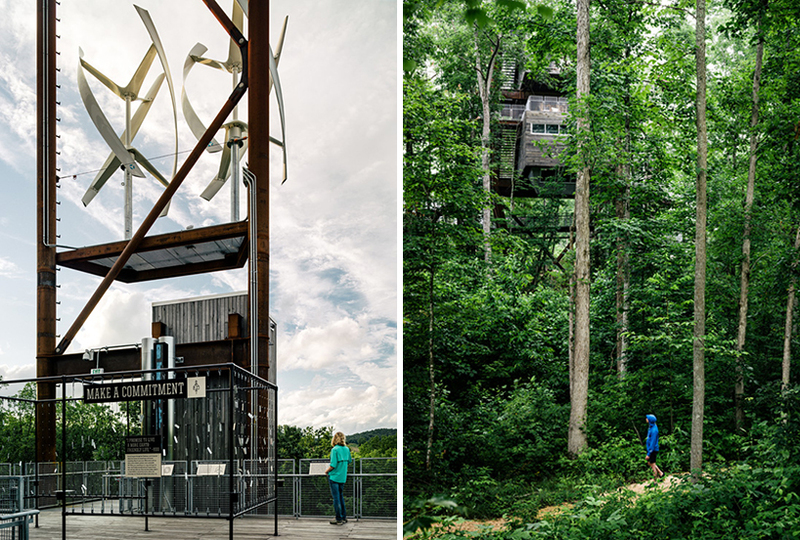 the construction itself exemplifies the very ideals it is set to communicate; photovoltaic panels and qr5 wind generators produce the energy used on site, while a large cistern collects and cleanses water. 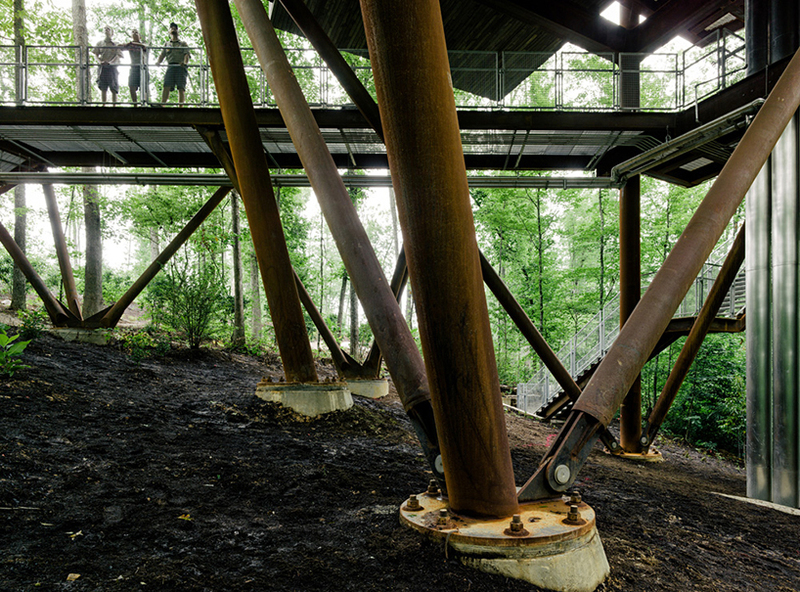 the structure’s root system is manifested as concrete pylons that support the metal stilts securing the forms above, limiting the direct intervention on the ground and saving on unnecessary pads that would also destroy a larger portion of the forest bed. 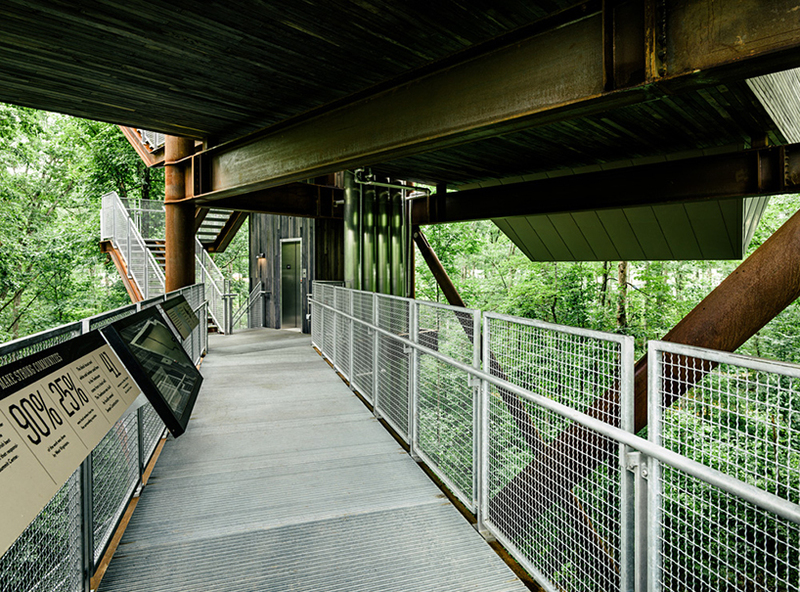 bridges shoot between the trees at the different levels, adding an element of adventure and exploration extrapolated to a much larger scale, coaxing visitors to proceed from room to room as they get unparalleled views of the forest while learning of the latest sustainable technologies.